Though the landscape here is dry and dusty, beneath you is an amazingly extensive aquifer system. Where did it come from? A very long time ago, around 6 to 16 million years ago, the Columbia Basin was catastrophically filled by numerous basalt flows to form the Columbia Plateau. This group of lava flows is referred to as the Columbia River Basalt Group (CRBG), and they not only changed the appearance of Eastern Washington, Northern Oregon, and the Columbia Gorge, but also established an entirely new set of aquifer systems to the plateau. But of course in the world of structural geology, nothing can ever remain simple. After the deposition of these basalts, a catastrophic event commonly known as the Missoula Floods rushed through, literally carving out the landscape. 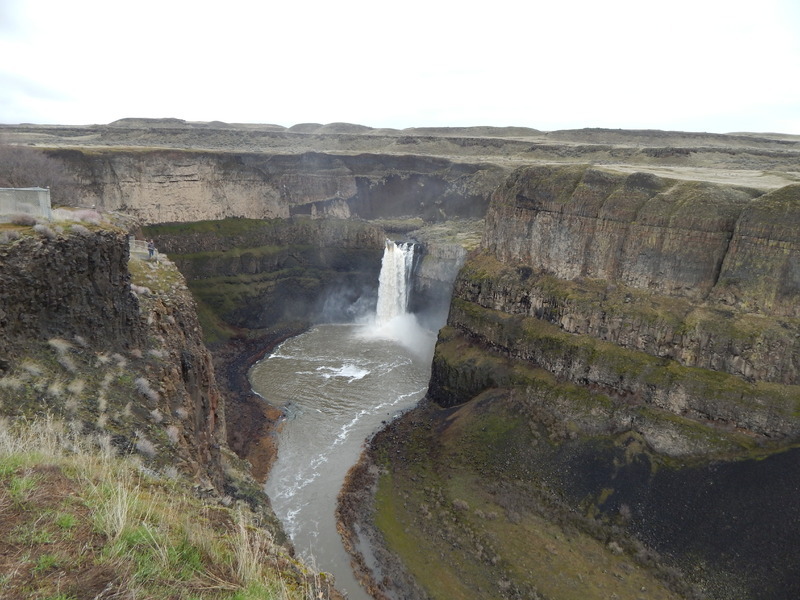 Within our area of interest, the Palouse Falls, the torrential erosion of these ice-age Missoula floods left Wanapum and Grande Ronde formations exposed. The two formations of basalts are generally separated from one another by a layer of clay, soil, and ash known as the Latah Formation, which is thought to have been natural soil development between the fiery deluges of basaltic magma. The clay layer of the Latah formation separates the groundwater between the upper Wanapum basalt and the water in the underlying Grande Ronde formation. Generally groundwater is found in an area between the individual basalt flows called the interflow zone. Here long pores and cracks allow the water to flow. In other cases water also flows in sandy portions of the Latah formation. The aquifers in the Grande Ronde and Wanapum basalts are occasionally connected, as water can move between the two aquifers through faults, which are joints or areas missing layering. Generally, the annual water only goes up or down about five feet. The process of getting the rain and other surface water into the ground is not well understood, but we know groundwater in the upper Wanapum basalts likely came from water seeping through fractures that extend through the basalt. The recharge of the Wanapum typically comes from rainfall and irrigation. The Grande Ronde is recharged from overlying and surrounding groundwater. The discharge often goes to channels, wells, and through various springs near the fall and grassy areas between basalt flows around the falls. Sometimes, after the snow melt or large storms, water will seep out of the canyon walls in the forms of springs, especially in springtime. 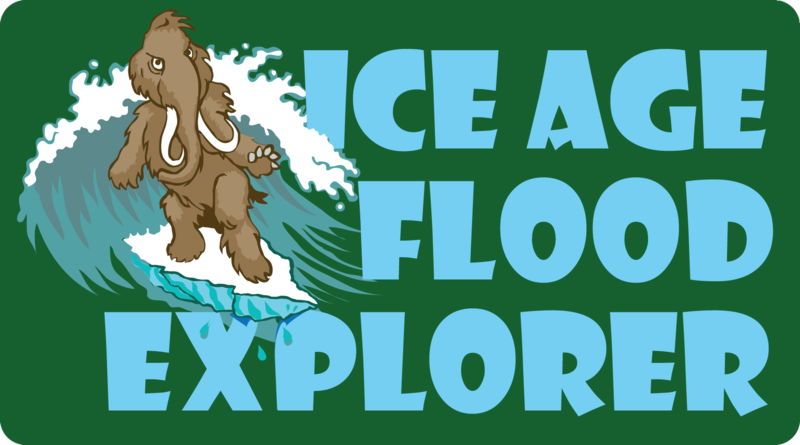 , “Palouse Groundwater,” Ice Age Floods Explorer, accessed April 21, 2019, http://floodexplorer.org/items/show/26. Buchanan, J.P., Deobald, W.B.,1995, Hydrogeology of The West Plains Area of Spokane County, Eastern Washington University , P.111. Burns, E., Lindsey, K., Morgan, D., Tolan, T. I., Vlassopoulos D., 2009, Hydrogeology of the Columbia River Basalt Group in the Columbia Plateau : Road Trip Stop Descriptions, The Geological Society of America Field Guide 15, p. 673-696, doi 10.1130/2009.fld015(30). Carson, R.J., Pogue, K. R., 1996, Flood Basalts and Glacial Floods : Roadside Geology of Parts of Walla Walla, Franklin, and Columbia Counties of Washington, Washington Department of Geology and Earth Sciences, Information Circular 90. Kahle, S.C. Olsen, T.D., and D.S., 2009, Geologic Setting and Hydrologic Units of the Columbia Plateau Regional Aquifer System , Washington, Oregon, and Idaho, US Geological Resources Survey Groundwater Resources Map. Lindelhom, G.F., Vaccaro, J.J., 1988, Region 2, Columbia Lava Plateau, in Back, W., Rosenshein. J.S. and Scaber, P.R., eds., Hydrology : Boulder Colorado, Geological Society of America, The Geology of North America, v.o-2.